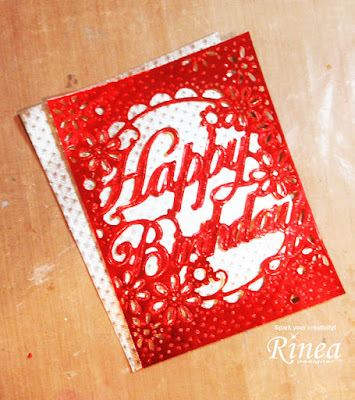 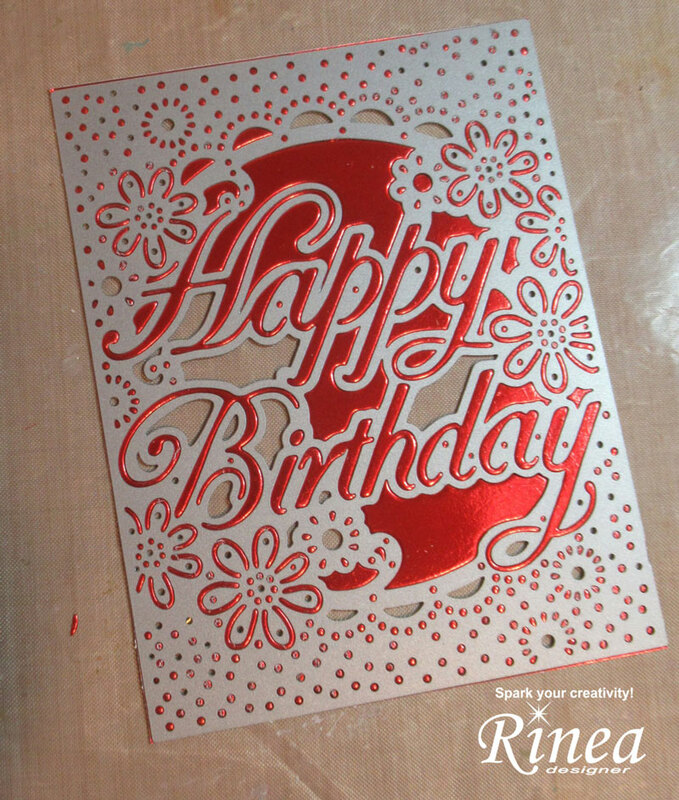 Hi everyone, I've got a new card on the Rinea blog using the Patriotic Foiled Paper Variety Pack to create a birthday card. 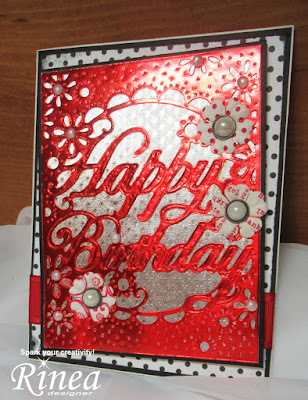 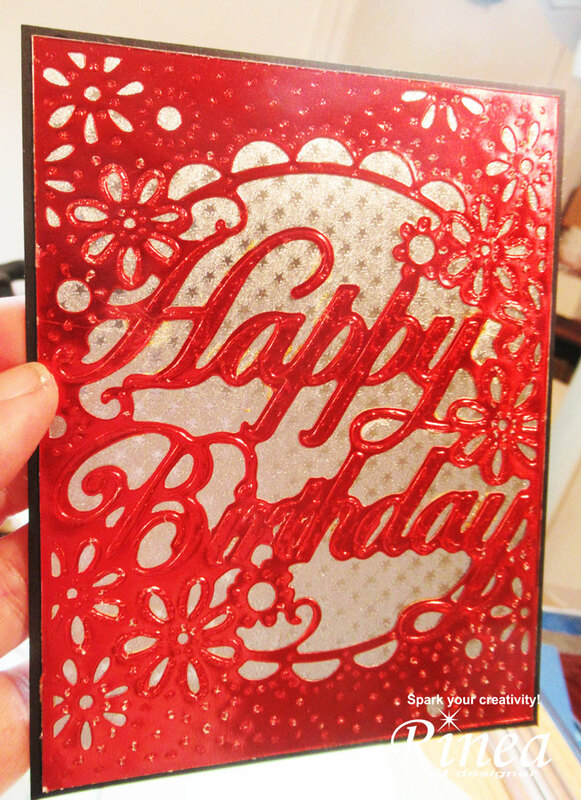 Using an intricate Happy Birthday die from Crafter's Companion, I die cut it from Glossy Ruby Red/Gold foil. 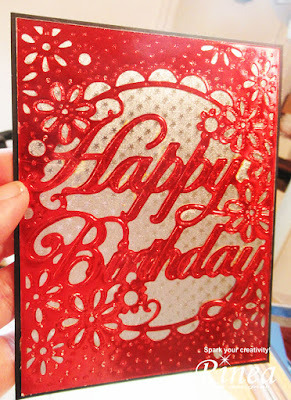 Then I adhered it to a panel of Starstruck Silver. Next, I matted the panel on black cardstock to make it pop. 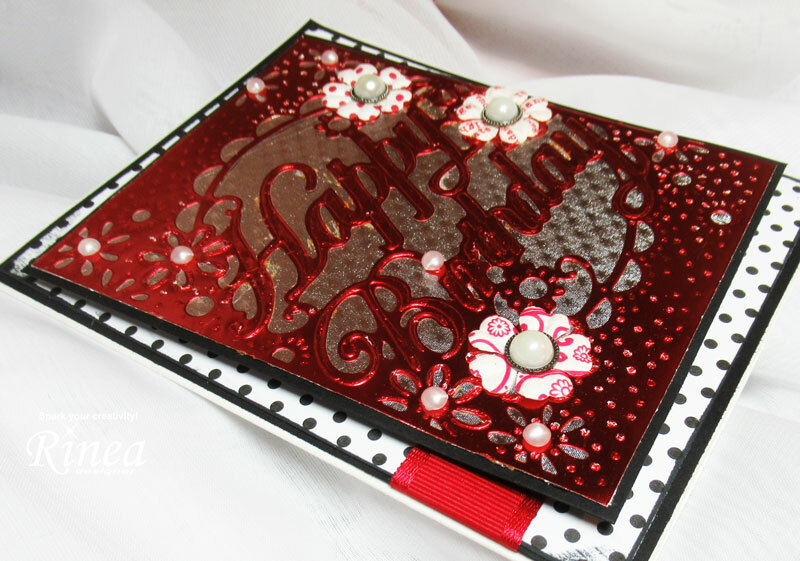 I matted black and white dotted paper on black cardstock, then wrapped the panel with red ribbon. The foiled panel was added to the card on a slight angle with foam adhesives. 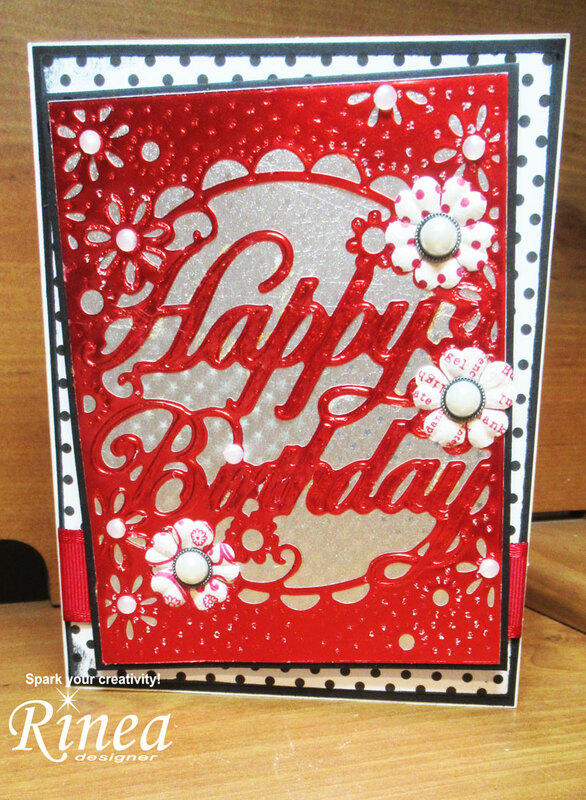 Several flowers were adhered to the panel and pearls were added about the panel. 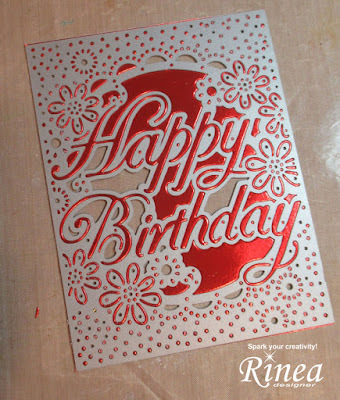 If today is your birthday, I'd love to wish you a happy birthday.